This week NASA has declared that an unpiloted SpaceX Crew Dragon spacecraft has been scheduled for January that will be the first flight test. The flight of the SpaceX Crew Dragon spacecraft is called Demo-1 which is going to launch on 7 January 2019 at 11:57 pm local time. SpaceX Demo Flight 1 was the first orbital spaceflight of the Dragon cargo spacecraft, and the second overall flight of the Falcon 9 rocket manufactured by SpaceX. The primary mission goals were to test the orbital maneuvering and reentry of the Dragon capsule. The mission also aimed to test fixes to the Falcon 9 rocket, particularly the unplanned roll of the first stage that happened during flight 1. The Falcon 9 rocket will takeoff from NASA’s Kennedy Space Center in the US state of Florida and carry the capsule to the International Space Station. The space agency will carefully monitor the performance of SpaceX Crew Dragon spacecraft, ground system operations, and the docking procedure. 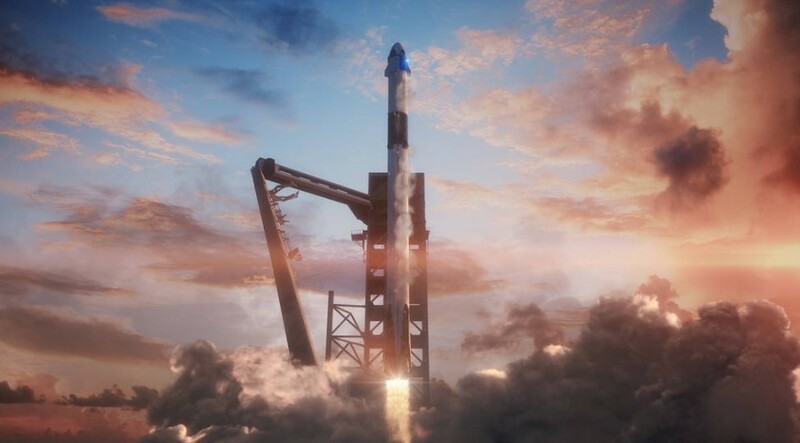 [This will be the first uncrewed test flight of the Commercial Crew Program and will provide data on the performance of the Falcon 9 rocket, Crew Dragon spacecraft, and ground systems, as well as on-orbit, docking and landing operations. The flight test also will provide valuable data toward NASA certifying SpaceX’s crew transportation system for carrying astronauts to and from the space station], claims NASA. “Following the test flights, NASA will review the performance data and resolve issues as necessary to certify the systems for operational missions,” wrote the space agency in a release. However, “as with all human spaceflight development, learning from each test and adjusting as necessary to reduce risk to the crew may override planning dates,” NASA added. International media without U.S. citizenship must apply by 4 p.m. EST Friday, Dec. 7, for access to Kennedy media activities. S. media must apply by 4 p.m. Friday, Dec. 21.